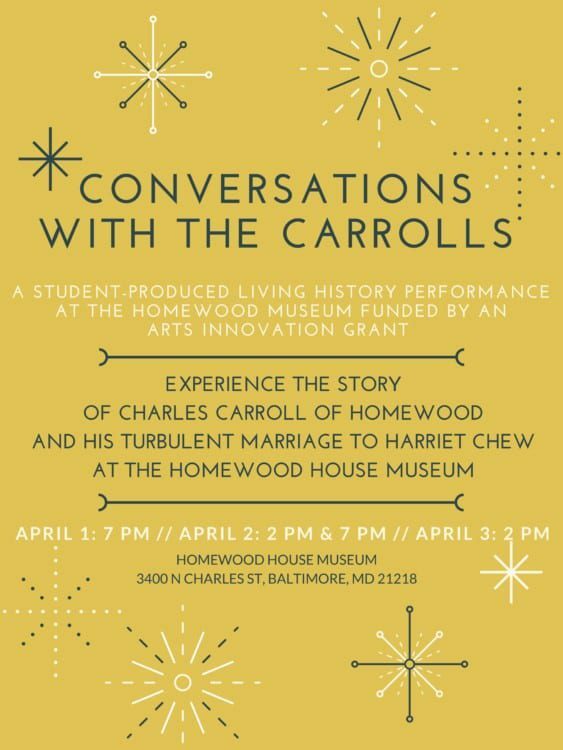 Conversations with the Carrolls, a student-run living history performance at the Homewood Museum, tells the story of the Carroll family and their slaves who lived in the house in the 1800s. Advance registration required due to limited seating. Call 410-516-5589 or email homewoodmuseum@jhu.edu. Walk-ins will be accommodated if space is available. Performance is free. The performance is produced by Museums and Society students Helena Arose and Sarah Braver and is made possible with support from an Andrew W. Mellon Arts Innovation Grant.